Enterprise technology ecosystems abound with acronyms, terminologies, and all buzzing words and industry jargon that can leave ‘outsiders’ and rookies dazed and scrambling for dictionaries and the internet. 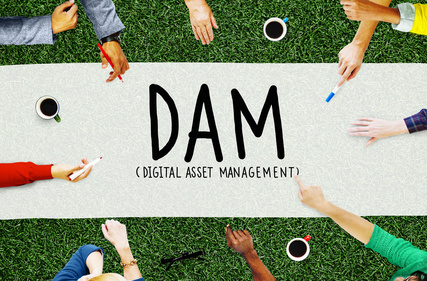 Digital asset management (DAM) is no exception, and is such a critical element of creative and marketing workflows. For some people, reading a whitepaper or articles on cloud-based digital asset management, packed with terms like ‘taxonomy’ and ‘metadata’, is enough to induce headaches and loss of interest in the subject. As a businessperson, it is vital that you understand some of these terms in order to get the most out of the technology and your IT service provider. Taxonomy is the system of organizing items by hierarchy, structuring data, and making individual files easier to locate. Within the context of digital asset management, it applies to organizing information using distinct categories, subcategories, and nodes and applying them to the assets. It plays a significant role in filtering search results. You can even combine several taxonomy structures to make search even more powerful. Metadata commonly applies to the digital world and is crucial to successful digital asset management. But what does the term mean? In the DAM world, metadata points to all the keywords and other information describing a particular asset. It plays a significant role in making files easily searchable. Metadata includes everything from file format, workflow, details size, licensing information, and details concerning the use of the data. While one can see taxonomy as information correlated in a tree-like structure, you can also envision ontology as the web. It reflects a correlation between different concepts, plus there can be an infinite number of relationships among items. It lets you organize a wider range of similarities between several terms, rather than just a primary hierarchy. Keywording is when you are assigning specific keywords, terminology, or phrases to several assets as metadata. It comes under the umbrella term of ‘cataloguing’, where metadata merges with assets. Appropriate cases of keywording apply to photographs and other visual media. For example, if you have several images of flowers, by key-wording them by color and type, you easily narrow down your search to find the exact result. Controlled vocabulary, also termed as keyword list or keyword catalog, is a library containing predefined keywords that improve consistency and searchability of assets. These predefined terms are usually used to guide how you keyword assets. This helps to reduce search times as users can extract from a controlled index of terms rather than searching randomly for an asset. Cloud-based data assets management can capture metadata on files and centralized access, support collaboration, and deliver access files to anyone the world over. It is referred to as a subset of enterprise content management applied to structure spreadsheets, documents and emails. I2k2 Networks’s digital asset management platforms offer a trusted solution for business. Our technicians keep you in the loop every step of the way, educating you on all aspects of your solutions that we install or manage.